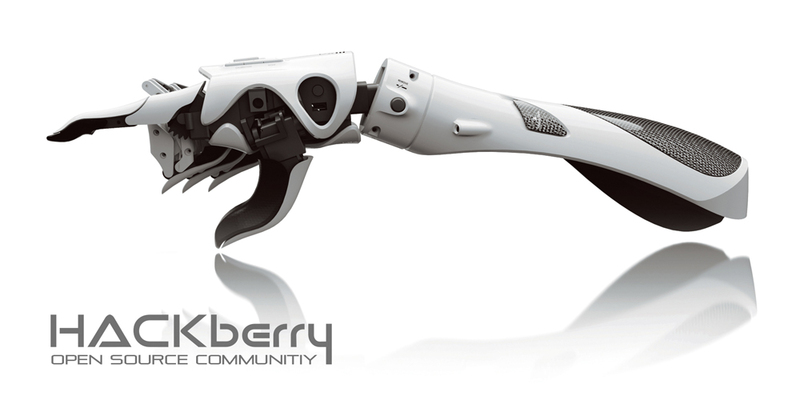 HACKberry is an open-source 3D-printable bionic arm (i.e. motorized hand that a person missing a hand can control intuitively via muscle signals in their residual arm). All the technical data including 3D CAD file, software code, circuit diagram, and bill of materials are disclosed as open-source under Creative Commons license. In this way, private developers around the world can replicate and customize it for whoever it can help in their local area. Since its launch in May 2015, many sub-projects have branched out globally, refining the quality of the hand and growing local communities. For example, a child-size version was created in Poland while a girl in U.S. was provided with locally produced HACKberry by a local makers community. It is noteworthy that HACKberry and its precedent models (handiii, handiii COYOTE) have received several international design awards including the James Dyson Award in UK, the iF Gold Award in Germany, and the Good Design Award in Japan, which has attracted both developers and potential users to join the open-source community. exiii (JP). In May 2013 Genta Kondo, Hiroshi Yamaura, and Tetsuya Konishi started to develop an affordable and fashionable bionic-hand handiii using a 3D-printer. In March 2014 they met Akira Morikawa, the first amputee to test handiii, and decided to start their own company, exiii, after receiving positive feedback. In March 2015, exiii demonstrated the 4th generation model COYOTE with Akira at SXSW, and their project received global media attention. In May 2015, exiii launched the 5th generation model HACKberry. All of its data is open source.